CAMPBELL, Sir COLIN, army officer and colonial administrator; b. 1776 in Scotland, fifth son of John Campbell of Melfort and Colina Campbell of Achallader, daughter of John Campbell of Achallader; m. Jane Hendon, and they had four sons and three daughters; d. 13 June 1847 in London. Colin Campbell was the scion of a Highland family with a strong military tradition. His father was an officer in the 42nd Foot who served in North America during the Seven Years’ War, and Colin’s six brothers and four sons all pursued careers in the services. In February 1792, at the age of 16, Campbell ran away from Perth Academy to join a vessel bound for the West Indies. He returned to Scotland to enter Moor’s Navigation Academy in Perth but in December 1792 sailed for India as a midshipman. Appointed a lieutenant in the Breadalbane Fencibles in February 1795, he transferred in 1799 to the 1st West India Regiment as an ensign, serving as a brigade-major on St Vincent in 1800. On 21 Aug. 1801 Campbell entered the 35th Foot as a lieutenant and on 12 Feb. 1802 he joined the 78th Foot, which was in India as part of the army of Colonel Arthur Wellesley. During the attack on Ahmadnagar on 8 Aug. 1803, Campbell so impressed Wellesley by his bravery under fire that he was made a brigade-major. Campbell, who was promoted captain on 9 Jan. 1805, returned to England as aide-de-camp to Lord Wellesley, Arthur’s brother. He accompanied Arthur Wellesley on the expedition to Copenhagen in 1807 and was thanked by him in general orders. Acting successively as assistant adjutant general, assistant deputy quartermaster general, and assistant quartermaster general, he served with Wellesley (who became the Duke of Wellington) in Portugal and Spain during the Peninsular War and at Waterloo. On 2 Sept. 1808 Campbell became a major, on 3 May 1810 a lieutenant-colonel, and on 4 June 1814 a colonel. He received numerous British and foreign decorations, and on 2 Jan. 1815 he was made a kcb. From 1815 until 1818 he remained on Wellington’s staff and lived at the latter’s residence in Paris, and between 1819 and 1825 he did duty with his regiment in England. 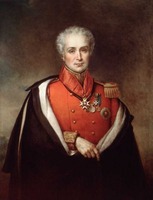 On 27 May 1825 he became a major-general. Although selected as lieutenant governor of Tobago in February 1828, Campbell apparently never took up the post and was appointed lieutenant governor of Portsmouth on 20 March 1828. He was made lieutenant governor of Nova Scotia in January 1834. On 2 July 1834 Campbell took charge of the government of the colony from the administrator, Thomas Nickleson Jeffery. Sir Colin and Lady Campbell were a great hit with “the beauty and fashion of Halifax.” During the summer “scarcely a week” passed without “a Pick Nic or some convivial party” at Government House and during the winter the Campbells held a series of balls and “Private Theatricals.” They sponsored local artists and writers, and Sir Colin became the patron of a host of local organizations, including the Halifax Mechanics’ Institute, the Nova Scotia Horticultural Society, and the Highland Society. Haligonians praised his willingness to visit the “scenes of infection” during the cholera epidemic of 1834 and the personal interest he took in road building, and he received widespread applause for his efforts to promote economic development by requesting more free ports for Nova Scotia and changes in the imperial customs regulations to benefit the colony. Initially Campbell’s relationship with the House of Assembly was harmonious. He convened the assembly on 27 Nov. 1834 and, working through Samuel George William Archibald, the speaker, and Alexander Stewart*, a member for Cumberland County, persuaded it to grant £2,000 per annum toward his salary in order to forestall the collection of quitrents. He could not, however, convince the house that money should be set aside for “the repair of the Great Roads & Bridges, leading from the capital to the different extremities of the Province.” In January 1835 he moved to remedy the complaints lodged by the Halifax grand jury against the administration of justice in the town and made substantial alterations in the bench of magistrates. After proroguing the legislature on 19 February, Campbell began a series of tours across “this beautiful and interesting Province” and on 17 Jan. 1836 informed his superiors that he found the people “moderate & tractable.” The 1836 legislative session also “went off smoothly,” although again Campbell could not persuade the assembly to alter the system of distributing road money and he was annoyed when it discontinued the annual grant to the inspecting field officers of militia. When he dissolved the legislature in November, the Halifax Times confidently predicted that Nova Scotians would rally behind the conservative faction that had hitherto controlled the house. To the dismay of the conservatives the assembly elected in January 1837 was dominated by a loose coalition of reformers and was soon at odds with the lieutenant governor and the Council. It not only refused to make provision for the inspecting field officers but repealed the militia act and demanded control over the casual and territorial revenues. On 13 April it carried by 38 to 4 an address to the crown demanding that the Council either be made elective or be entirely reconstituted so that it was no longer controlled by the Halifax commercial élite and by supporters of the Church of England. Since the Colonial Office was already committed to substantial reform in the Canadas and New Brunswick, Campbell was aware that at the very least his Council would have to be divided into separate legislative and executive bodies but he preferred “things to remain nearly as they are.” Indeed, the Colonial Office was so critical of the initial lists of names he submitted for appointment to the two new councils that he was forced to revise them. 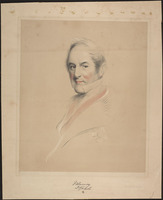 When Campbell came to make provisional appointments in January 1838, there were, as even reformer Joseph Howe* admitted, “several judicious selections,” but both councils contained a clear majority of Anglicans and “not a man of liberal politics” was placed on the Executive Council save Herbert Huntington*. Campbell had also been instructed to enter into negotiations with the assembly for a civil list. In doing so he amended the Colonial Office’s suggestions about salaries in order to provide “in a more liberal manner” for the judges, even though the assembly had criticized the existing scale of judicial emoluments. Campbell’s actions disappointed moderate reformers such as William Young*, but the latter vowed “to give the new body politic a fair trial” and eschewed “the reform that has broken out into rebellion” in the Canadas. On 30 March, while expressing its “regret” at Campbell’s appointments, the assembly nevertheless voiced its confidence in his good intentions and even passed a civil list bill, although the amount granted was smaller than Campbell had requested and the bill was subsequently rejected by the Legislative Council. Yet when Campbell was compelled to reduce the size of the councils because of a difference between his instructions and the commission issued to the newly appointed governor-in-chief of British North America, Lord Durham [Lambton], he increased the proportion of Anglicans, again excluded the reform leaders, and indeed dropped Huntington. 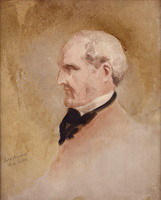 On 12 April 1838 the assembly therefore passed an address complaining that both councils contained majorities “generally hostile to the liberal party” and, fearful lest Campbell dissolve the legislature, the house immediately voted to send its own delegates to meet with Lord Durham after his arrival. Campbell described the assembly’s resolutions as “insulting” and in his speech closing the session on the 17th repeated his determination to “resist any attempt to encroach upon Her Majesty’s prerogative.” However, he did include both reformers and conservatives in the delegation which he sent to discuss with Durham the latter’s scheme for the union of British North America. Between 1837 and 1839 Campbell’s attention was increasingly distracted by the mounting crisis in Anglo-American relations triggered by the Canadian rebellions and the Maine–New Brunswick boundary dispute. During this period a large number of troops passed through Nova Scotia en route to New Brunswick or the Canadas, and Campbell personally supervised their training and the preparations for their travels west. The size of the provincial garrison also steadily increased. Campbell was promoted lieutenant-general on 28 June 1838, and by the end of 1839 he had five regiments and several companies directly under his command. As commander of the forces in the Atlantic region he was responsible for the disposition of the troops in New Brunswick, and he was frequently at loggerheads with its lieutenant governor, Sir John Harvey*, who contrary to Campbell’s orders dispersed his troops in small units near the territory in dispute with Maine. Harvey appealed to London for greater autonomy. Even after his demand was rejected he continued to “pass by” Campbell and to the latter’s annoyance persuaded the authorities in the Canadas to sanction his arrangements. Much of the difficulty between Harvey and Campbell arose from Harvey’s wilful attempt to circumvent the normal chain of command, but a number of minor disputes occurred because of Campbell’s rigidity on matters of military discipline and his desire to keep as many troops as possible directly under his control in Nova Scotia. 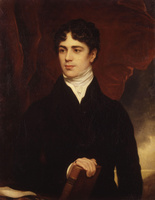 In April the assembly sent William Young and Huntington to London to appeal to the colonial secretary, Lord Normanby, for changes in the government along the lines adopted in New Brunswick by Harvey, who had given the dominant party in the assembly a majority of the seats in both councils and control of the casual and territorial revenues. Campbell acted somewhat disingenuously, pretending to Young and Huntington that he was unconcerned with the assembly’s decision while at the same time sanctioning the dispatch of the legislative councillors Alexander Stewart and Lewis Morris Wilkins* to London to defend the status quo. Campbell was certain that the assembly’s delegation would have little effect and he dismissed Durham’s recommendation of responsible government as “absurd.” In fact, Young and Huntington had considerable influence with the parliamentary under-secretary at the Colonial Office, Henry Labouchere. He prepared a dispatch from Normanby to Campbell which emphasized that the Executive Council should be composed so that “the co-operation of the popular Branch of the Constitution” would be obtained and that seats on it should be offered to leading assemblymen as the occasion arose. Yet Campbell refused to follow these instructions because he wished to show that “those who profess ultra radical principles, & systematically keep up popular agitation” would not receive government patronage, and when a vacancy occurred he appointed Alexander Stewart. In February 1840 James Boyle Uniacke*, who had become a supporter of responsible government, resigned from the Executive Council. Campbell added a moderate liberal, James McNab, but only after McNab had indicated that he did not support responsible government. The same month the assembly insisted that Campbell use the authority given to him by the colonial secretary, Lord John Russell, to reconstruct his council, but he continued to argue that it would be “unjust” to remove councillors against whom he had no complaint. The assembly condemned Campbell for consolidating the power of a “small and exclusive party” and appealed to the Colonial Office for his dismissal. This action generated a war of petitions and over 3,000 Nova Scotians signed resolutions supporting the lieutenant governor. Campbell was confident that the Colonial Office would not yield to “Howe & his Clique” and asked for permission to dissolve the assembly, but to his consternation Russell refused and sent the new governor-in-chief, Charles Edward Poulett Thomson, to act as arbiter between Campbell and the assembly. Thomson arrived in Nova Scotia on 9 July 1840 and did not approve of what he found. Although he sought to “justify” Campbell’s actions, he insisted that the Executive Council be remodelled to include representatives from the liberal party. Thomson hoped that Campbell might preside over the creation of the coalition council. The lieutenant governor, however, remained opposed to the appointment of Howe because of his “intemperate conduct, and offensive behaviour . . . to myself,” and when Howe reported to Thomson that Campbell would not “smoke the pipe of peace” Russell selected Lord Falkland [Cary*] to implement Thomson’s recommendations. Campbell was “deeply mortified,” but was somewhat mollified when appointed lieutenant governor of Ceylon (Sri Lanka), “one of the best Governments under the Crown.” Because the conservatives turned Campbell’s departure on 3 October into a political event, the reformers, according to the Novascotian, “declined turning out” and only a few hundred Haligonians paid their respects. The paper expressed the hope that Campbell might be “more successful in his new Government.” Campbell arrived in Ceylon on 5 April 1841, and soon revealed many of the weaknesses he had shown in Nova Scotia. 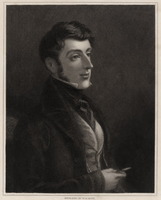 He left the administration of the colony largely in the hands of his subordinates, and in 1845 James Stephen, the permanent undersecretary at the Colonial Office, described him as “an aged and feeble man” whose “judgment is not in his own keeping.” Campbell left Ceylon on 19 April 1847 and returned to London, where he died on 13 June. In its comments before Campbell’s departure from Nova Scotia, the Novascotian had praised his “courteous” and “frank” behaviour and blamed his difficulties on “an organized party” which exercised “a most commanding influence upon his administration.” Indeed, Howe professed to believe that Campbell had seen the error of his ways prior to leaving. To some extent an interpretation stressing external influences is valid. Campbell did rely for advice on men like Bishop John Inglis and Chief Justice Brenton Halliburton*. But to exonerate Campbell from personal responsibility seems unnecessarily generous. Although an easy-going Presbyterian and far more approachable than his contemporary in New Brunswick, Sir Archibald Campbell, he was also a product of the “old Wellington School” and his instinctive sympathies were with the colonial upper class. In 1837 or 1838, and probably even in 1839 or 1840, he could have become as popular as Harvey became in New Brunswick by broadening the base of his Executive Council. His prejudices, however, led to his failure. 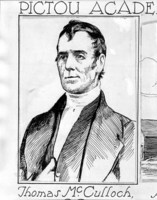 In a colony where the vast majority of the population were dissenters or Presbyterians he asserted that it was easier to find twelve churchmen fit for office than one dissenter; he believed there was only one Roman Catholic in Nova Scotia qualified for high office; and he refused to take the reformers seriously because “not one of them has one hundred pounds at stake in the province.” His difficulties he ascribed to the fact that he had been “fettered by instructions which I knew to be inapplicable to the state of the Province.” This claim was naïve. Substantial reform was both necessary and inevitable in Nova Scotia. Campbell asked to be misled and he was. He was thus the author of his own unpopularity. Harvard College Library, Houghton Library, Harvard Univ. (Cambridge, Mass. ), ms Can. 58 (Joseph Howe papers) (mfm. at PAC). N.B. Museum, W. F. Ganong papers, box 42; Harvey papers, Campbell corr. ; letter-books. PAC, MG 24, A17; A40. PANS, MG 2, 720, 732. PRO, CO 54/188–235; CO 217/156–75; CO 218/31–32; WO 43/529: 320–23. N.S., House of Assembly, Journal and proc., 1834–40. 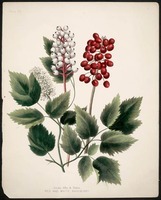 Novascotian, 1834–40. Nova-Scotia Royal Gazette, 1834–40. Times (Halifax), 1834–40. F.-J. Audet, “Governors, lieutenant-governors, and administrators of Nova Scotia, 1604–1932” (typescript, n.d.; copy at PANS). DNB. G.B., WO, Army list. A memorial history of the Campbells of Melfort, Argyllshire . . . , comp. M. O. Campbell (London, 1882). 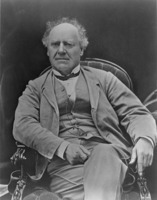 J. M. Beck, Government of N.S., 78–79; Joseph Howe (2v., Kingston, Ont., and Montreal, 1982–83), 1: 175–76, 186–87, 189–90, 193, 201–6, 209–10, 214–15. Buckner, Transition to responsible government. K. M. De Silva, Social policy and missionary organization in Ceylon, 1840–1855 (London, 1965). H. A. J. Hulugalle, British governors of Ceylon (Columbo, [Sri Lanka], 1963). W. R. Livingston, Responsible government in Nova Scotia: a study of the constitutional beginnings of the British Commonwealth (Iowa City, 1930). W. S. MacNutt, The Atlantic provinces: the emergence of colonial society, 1712–1857 (Toronto, 1965), 201–3, 217–18. S. W. Spavold, “Nova Scotia under the administration of Sir Colin Campbell” (ma thesis, Dalhousie Univ., Halifax, 1953). D. A. Sutherland, “J. W. Johnston and the metamorphosis of Nova Scotian conservatism” (ma thesis, Dalhousie Univ., 1967). Phillip Buckner, “CAMPBELL, Sir COLIN,” in Dictionary of Canadian Biography, vol. 7, University of Toronto/Université Laval, 2003–, accessed April 19, 2019, http://www.biographi.ca/en/bio/campbell_colin_7E.html.